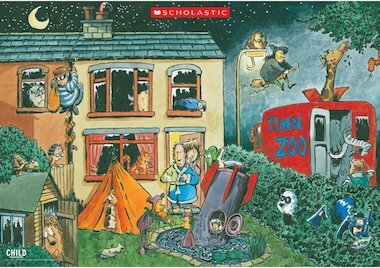 Who’d have thought there could be such crazy goings-on in the night – what can you see happening? Use this detailed poster as stimulus for a variety of activities. For suggestions see the other resources in the Creative Project in the May 2005 issue of Child Education.